01/05/2016 We received the rebate check 2 weeks after it’s been approved. In September 2015, we leased our first EV (Electric Vehicle) 2015 e-Golf. We got the top of the line SEL model because it supports the fast charge system 7.2kw, but we haven’t use it so much. We’re going to share our economical thoughts on this lease. 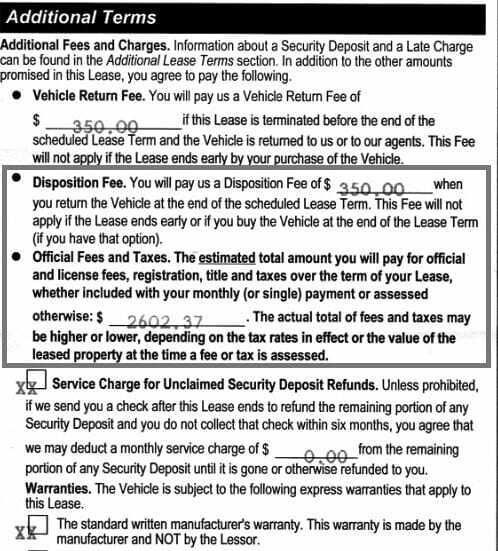 If you lease the car, the $7.5k federal rebate is applied automatically, if not you have to claim it at the time of income tax and if you don’t pay more than $10k in federal tax, you’ll lose out. So it seems the system forces you to lease instead of buying. The State $2500 rebate need to be applied, the salesperson told us to just wait after a few months and the check automatically come, FALSE, you need to apply at Clean Vehicle Rebate Project online and online only, which means you have to scan all your documents and upload to the website, the best is to ask the dealer to give you the soft copy (pdf) of your lease contract because it’s a very long form and you have to scan it into many sections, and the upload only except 1 attachment only. 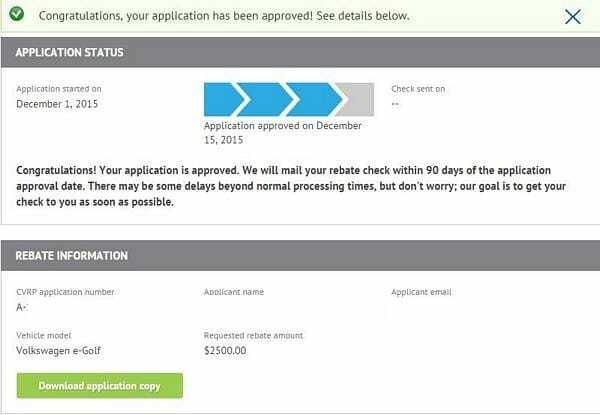 This will take up to 90 days for the check to get to you after your application is approved. The people there work extremely fast, you’ll know if you’re approved after a few days. Some dealers may have the carpool stickers and may give them to you or in our case, we had to apply for them, ONLY after we got our registration and plates, this one took 21 days from the day you apply at ARB/DMV. The application here is only accepted by mail. Find your EV that fit your needs, all EV cars are priced pretty much the same dependent upon the options, very expensive for what you actually get. Many people are still skeptical about leasing, it’s quite simple and beneficial sometimes when we get a good lease. The best lease are mostly designed by the Manufacturers and NOT the dealers. The manufacturers leases are designed to promote sales, so normally, they’re design to protect their customers also, the dealers will make some money, the consumers will have some good deals and everyone wins. When the dealers recommend leases that are better than the Manufacturer leases because our credit score are “OFF” the chart, then it may NOT be too good to be true, different ways for them to make more money. 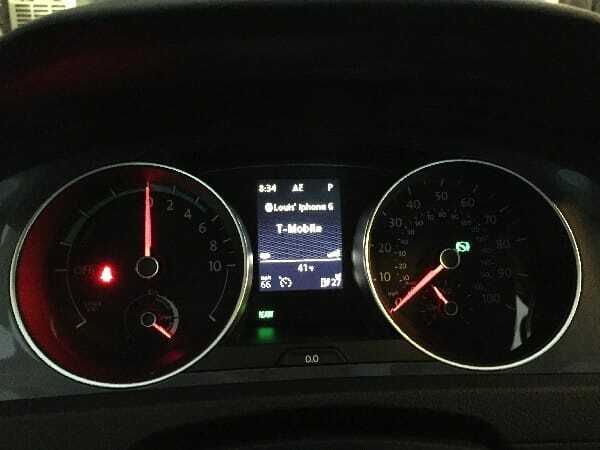 So what did I care about when I lease my eGolf, again, I believe the dealer needs to make money to be in business, as long as the numbers fit my needs, then the deal is done. I don’t really care about who leases with better deal than mine. Money out of my pocket: I don’t really care about all these terms, down payment, fees, drive off, the bottom line is how much I have to write the check for to get the payments that sound logical? For this car was $2500 to get $244 + tax for 35 months, NOT 36 months because the first month is always paid up front. If I apply correctly and get the $2500 rebate from the State, then it’s actually $0 out of my pocket. 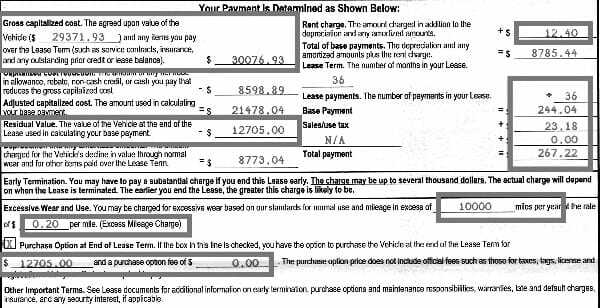 What’s my closed end lease residual after 36 months contract? The residual is the price I have to pay to buy the car after 3 years, $12705 + tax. 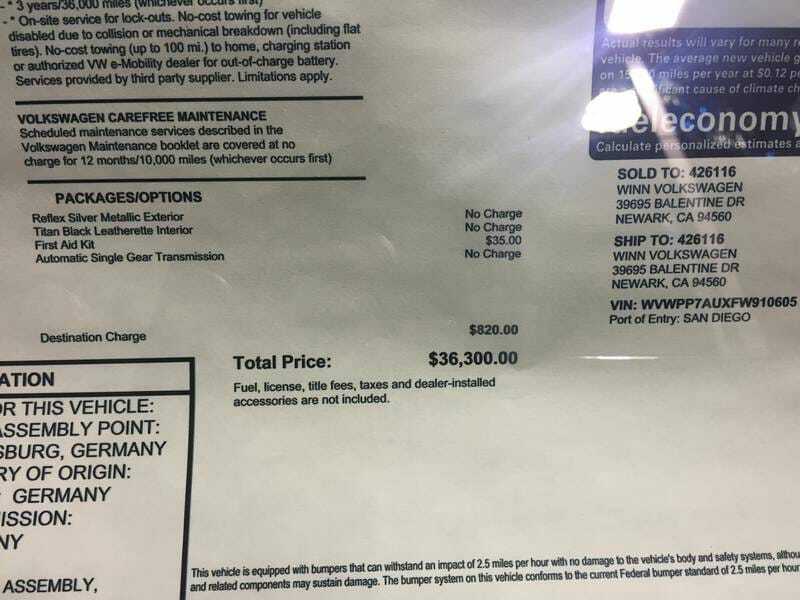 If I don’t want the car any more, I have to pay $350 to return the car + excess charges if my car has more than 30,000 miles @ .20 / mile, that’s fair because I signed up for 10,000 miles/year program. 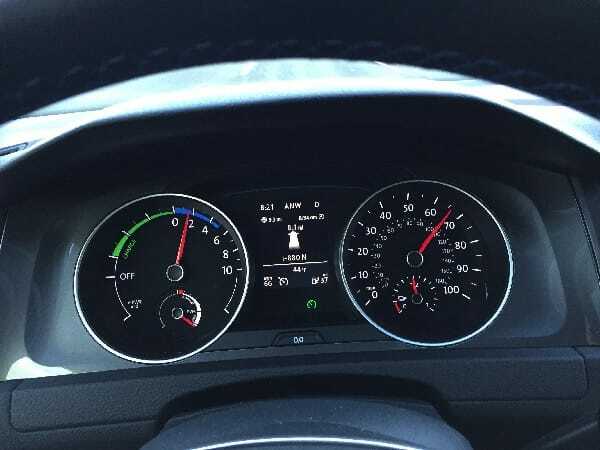 So are all the numbers good for me to lease this car? $244 x 35 = $8540 + tax + $12705 + tax = $21245 + tax. The car listed for $36000, and I paid $21245 for the car, I think it’s fair, thanks to Federal and State EV rebates. 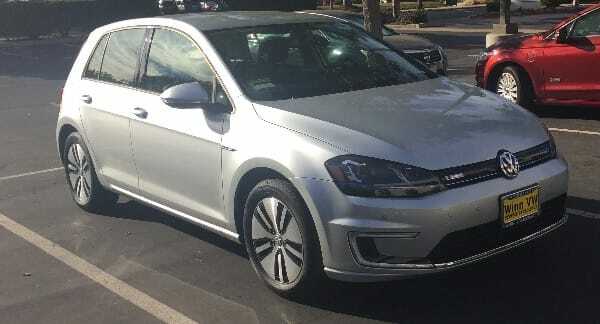 Why did we lease this eGolf? Is it economically sound compares to our gas car? The gas price now is under $3/gallon, $2.30-$2.60 to be exact in California. 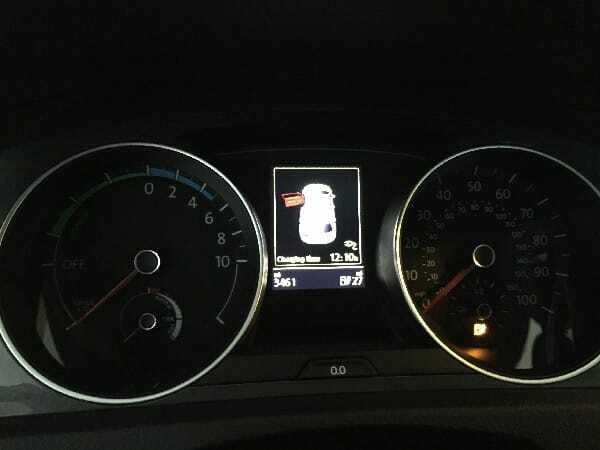 We commute to work 24 miles each way ~ 50 miles round trip – We don’t drive economical gas car, our A8L average 14-16 mpg since the car pool lanes in the Bay area are congested at any time, average mph is 15, not 40-60mph on the freeways, so the cost of gas for work is about $166/month. Cost of electric where we live is $.16/kw x 15 kw = $2.4/day. 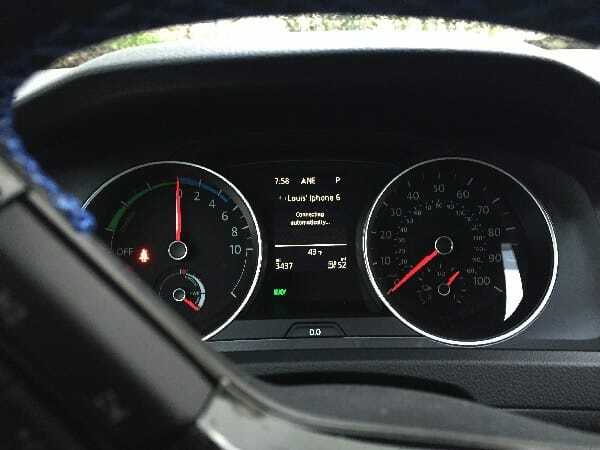 By leasing our new eGolf, we’re only save ~ $120 in gas per month, it doesn’t sound really good economically, but actually it does, our A8L or Q7 would cost money to maintain for brakes, tires, oil, engine wear, transmission wear, and NOT under warranty. The best reason is when the gas prices go up, which it will, we will be prepared for it. The battery is guaranteed for 7 years and I’m sure by that time, the battery won’t be as expensive as now. The range on the eGolf is average 100 miles on a full charge, with stop and go traffic, it gets more, but with freeway smooth driving @ 65-70MPH, it gets much less. There is NO Spare tire. There is NO home link garage remote. The Level 1 charger that comes with the car charges very slowly. If you come home late at night and work early in the morning, you definitely need the 7.2 kw charger and set up for your home. Hard to find charger or outlets if you live in an apartments or condos without garage. We actually like the eGolf very much, we use it to commute, errand, it’s nimble, easy to drive, solid. For 3 months and 3400 miles, no hick ups what so ever, Zero defects, except the navigation is horrible, it’s not INTUITIVE (I wonder if these engineers know the word), the back up camera is worse than my $20 after market camera.